Cell boosters are the tiny electronic device that tends to receive cell signals and then finally transmit them specifically to dead zones hence enabling your phone to work. They can also be referred to as a repeater or an amplifier. The cell booster is connected to the telephone and mobile kit that provides an antenna. The coxa cable connects all items. It is the one responsible for boosting wi-fi signals in your precious wireless device. Cell signal boosters work on almost every type of phone, but you should make sure that the brand of booster you purchase will indeed work on your phone. Offices, homes, and car"s cellular or wifi can be much improved by this cell booster device. The products that boost wireless network that we with cover wifi and tv frequency, mobile, bands which are mainly used in Canada. How Do Wi-Fi & Cell Phone Signal Amplifiers Help? If you don't receive wifi signals from your broadband internet devices, then be ready to be disappointed because the device will not work. Does wireless network offer strong Wi-Fi signals to your device? Many other areas have marginal coverage. There may be a signal in the air, but your phone is barely able to pick it up due to broadband coverage of the internet that is weak. This challenge can be eradicated by acquiring an excellent and reliable Wi-Fi signal booster. Everyone gets annoyed by Cell phones due to network reception that is very weak. If your phone experiences internet speed that is slow and also during a conversation the call drops, then automatically the problem is facilitated by weak coverage of signal within your house or your office. In case mobile tower experiences a cellular connection that are poor then there arose more severe problems. One may lose text message or may not receive them for several hours. The quality of the voice may also be tampered with hence making it unclear. These challenges can annoy anyone who is a cell phone user even though they are calm to a worrying extent. All these problems give us a collective mind that the need for a cell phone signal amplifier requires every effort. Most of the mobile phone booster consists of an antenna and an amplifier. The amplifier will help the phone to boost the signal and in the same way, the small amplifier, which is built in cell phone, will stop searching for better reception. It will also help you to stop sending the dangerous electromagnetic waves. Cell phone boosters are very handy and useful. Besides, using this product, you will be able to get rid of some health problems. Options for Most of the Mobile Phone Signal Boosters. Different locations have their challenges that may facilitate experiencing weak signals. Physical barriers may be the cause of weak signals in some areas whereas others may be due to few numbers of cell towers within the region of coverage. A reception that is on- site is mostly hindered by hills and valleys which contribute most to the issue of connectivity. This progressive causes unique kitting of few amplifiers. Every kit has an internal antenna and an amplifier connected by a cable. Omni-direction is antennas incl which are less effective with few boosters having coverage of about 360 degrees. They work better where signals are strong outside a building. Uni-directional are antennas that point the same direction and require to be facing towards the closest tower. 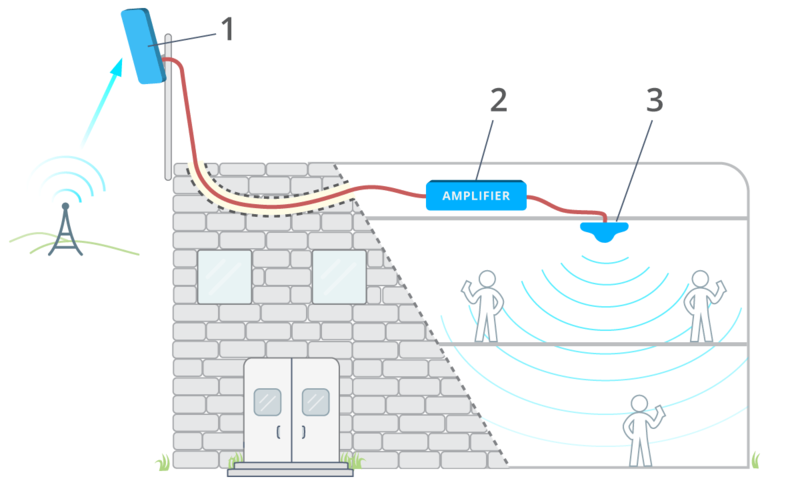 It works better for houses that don't have compelling cellular signal outside the building. Commercial Wi-Fi and Cell Phone Booster Installations. More than one industrial grade amplifier is required for Large business constructions and other more prominent centers with indoor spaces so big. 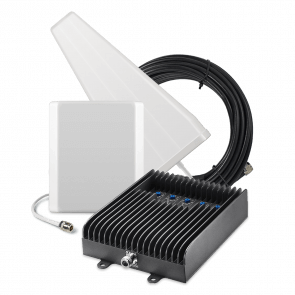 Our installers offer customized made kits which provide better signal strength. Explicit approvals and permissions are needed by mobile industrial mobile phone boosters which we can offer. We provide professional Wifi and mobile phone booster systems and us also install and design signal boosters for mobile networks. If you want to experience these services from real experts, then you can make an effort of reaching us so that we can be able to be of great help to you. In conclusion, a wireless signal booster it is defined as a device that operates to improves broadband Wi-Fi reception while a mobile phone booster is described as a device that works to improves mobile network reception.